Paperclips and staples and big cardboard boxes…..
…. these are a few of my favorite things. Well, with the holidays coming up, I could not resist that opening. One of the kids at my old school used to sing that song all the time with the correct lyrics. I, personally, am not a big Sound of Music fan, but one of my therapists suggested the title and I liked it ….. whatever…. Actually, I really do like paperclips and staples quite a bit. I have a hard time passing them by. If I see them, I want to go over and bend them or remove them from paper, but have been trying to resist those impulses. However, it isn’t all that bad. I figure I could be obsessed by much worse things. 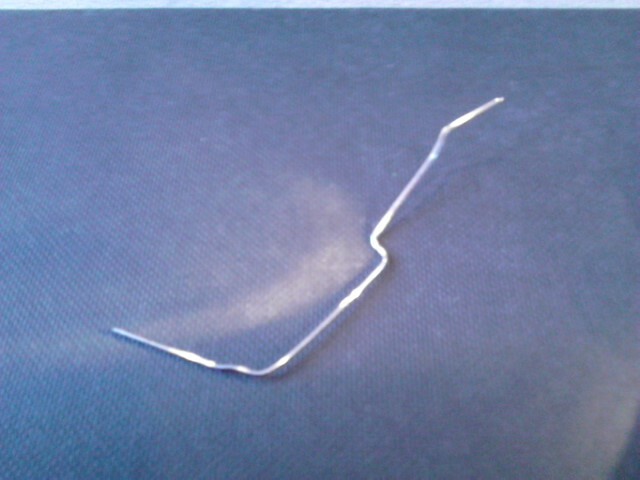 Seriously though, I am fascinated by things like staples and paperclips. I’m sure a lot of neurotypical people think such a thing sounds really weird (then again, I think some of the things that neurotypical people are obsessed with are odd, but I won’t go into that here). So why the fascination with paperclips and staples? Well, they are really kind of fascinating – metal that is changeable, bendable, but in many ways immutable. Somewhat of a paradox I would suppose. I can bend a paper clip out of shape but it really does not change its form. I can do with the same with a staple. In form they are simply a long line of silver medal, but when changed, they can become very useful objects. I can bend them out of shape and then very carefully bend them back into shape. I can remove a staple from a piece of paper, bend it, but then bend it back to fit through the same holes it came from so it can assume its original function with only minor imperfections. Staples and paperclips, made from metal, also reflect light in a way which is so interesting. I walk by a paperclip or a staple and sometimes, if the light bounces off of it a certain way, I don’t see the paperclip or a staple but a dazzling light – much like the little lights of fireflies or the lights of a Christmas tree. It is so hard to sometimes pass these by without stopping, looking and touching. Imagine all of the light reflecting off of these tiny pieces of metal in a large stack of paper on a desk or a bulletin board with stapled notices all over it. Sometimes, I just can’t help but stop, look and reach out to those little lights. I want to bend them and change the way the light reflects off of them. Sometimes I resist that urge, but sometimes the calling is too much and I just have to try to change the way that the light reflects from those tiny bits of metal. Before you think I am odd for liking the beauty of light reflecting off of things in my environment, think about the things with which some neuro-typical people are obsessed. Some are obsessed with money, some with clothes, some with drugs and others with accumulating as many toys as they can before they die. Overall, I am much happier enjoying something simple like reflections of light than any of those other things. In closing, whatever, holidays you celebrate (or celebrated), I hope that they are happy. Your eyes definitely see a bigger world. Thank you for sharing! I guess I’m fairly nurotypical so I miss most of those tiny gifts that happen all around us. This post does make me think of my unspoken appreciation for frost that glistens like diamonds in the morning sunlight and bubbles with psychedelic shifting rainbow colors. Hi Paul, You used to know me years ago when you lived in San Francisco & Belmont. I used to work with your Mom. Anyway, she sent me this link and I’ve read your posts so far. Thank you so much for writing. Your perspective is interesting and makes me think about my own reactions to things. I especially loved your post on rain. I’m looking forward to reading more! I am so glad that I found this. Your name has come up a few times over the years in working/learning with Kristie Koenig, OT. Recently I was made aware of the article that you co-authored for AJOT with her on your experience and communication breakthrough. Ironically, I had met you long before your breakthrough as I had met both you and your mother through services you were receiving at Theraplay – many moons ago. I was also involved a few of the first meetings that Jeanetta invited me to attend when your mother, along with other parents, were planning the Magnolia school. I am so thrilled to see what has developed and how far so many have come with the spirit and drive of such passionate people. I guess even neurotypicals can have severe passions. I am just glad your mom was driven by one – namely you. I am so excited to see to your ideas and am looking forward to your blogs on your insights. It is remarkable how small this world really is, but then again, you and your mom struck me as someone I would never forget upon our first meeting.